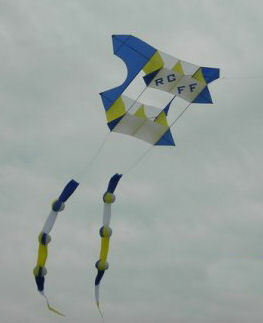 The Royal city fun flyers is a group of people that Like to make and fly kites. People think we are nuts...and sometimes we are mistaken for some kind of weirdo's. Well Maybe we are but we have a lot of fun and enjoy the nice Weather. In the following Pages you will see some Kites that have been Made by our members and some pictures of the kites in flight. There are also some links to other sites.